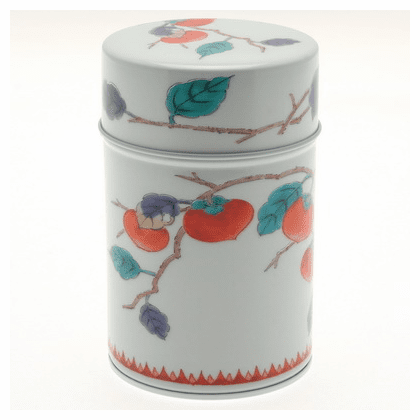 Arita persimmon design. Holds 150 grams (5.29 ounces). Has an inner plastic lid to keep it fresh. 4-5/8" tall, 2-7/8 in diameter.